HARTA (5168) succeed breakout bolinger band squeeze. 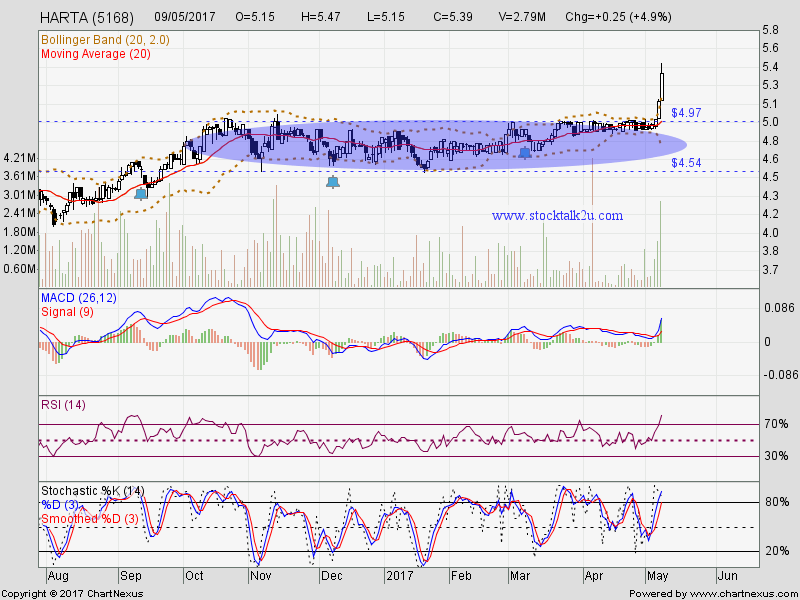 Immediate support @ RM4.97 level. 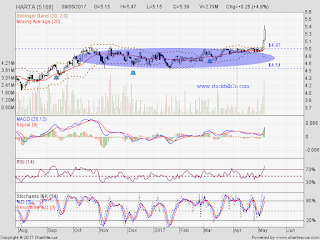 Subsequent resistance @ RM6.00 level.